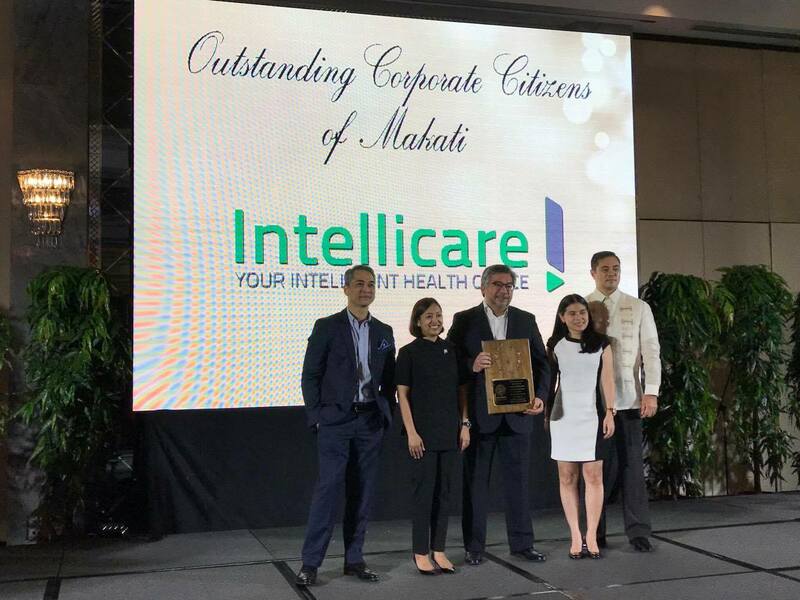 Asalus Corporation (Intellicare) was a recipient of the Ten Outstanding Corporate Citizens of Makati Award during the city’s 347th Foundation Day Vin d’honneur held at the Rigodon Ballroom of The Peninsula Manila on June 1, 2017. The event was hosted by the city government with Mayor Mar-len Abigail Binay-Campos heading the ceremony. Intellicare’s Senior Vice President for Sales and Marketing Jeremy G. Matti, along with other awardees’ representatives, received a plaque of recognition for the corporations’ loyalty and reliability as partners of the local government in building the city and its communities. Chosen based on overall performance in 2016 from their correct and timely tax payment records, other awardees were Ayala Land, Inc. (ALI); ALI Commercial Center, Inc.; BDO Unibank, Inc.; Phinma Energy Corporation; HP PPS Philippines, Inc.; Pepsico, Inc.- Philippine Branch; Rockwell Land Corporation; Homeworld Shopping Corporation; and Bank of the Philippine Islands. Over 300 guests attended the event, notably Former Vice President Jejomar Binay and Dr. Elenita Binay, Makati City’s Representatives Monsour del Rosario and Luis Campos, Vice Mayor Monique Lagdameo, Administrator Claro Certeza, members of the City Council, and department and office heads of the city government. Foreign dignitaries, national and local government officials, members of the Makati business community, and business organizations were also present.